The sunflower is used as an emblem of the philosophy of Spiritualism. 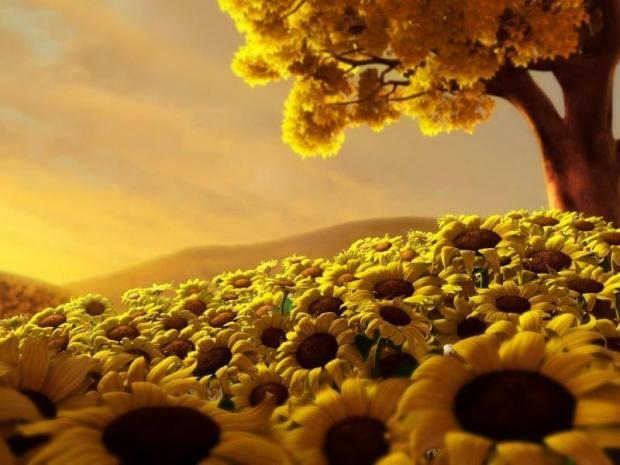 The sunflower is likened to the life that surrounds a person. The figures that surround a sunflower are coincide with what surrounds a person. Sunflowers have seven branches that stand for the seven days in a week and twelve leaves for the twelve months in a year. Each of the branches also usually gives life to three sunflowers, which are believed to stand for the Holy Trinity. And each of the sunflowers has 52 yellow petals, which stands for the 52 weeks in a year. And at the center of each flower, there are 365 seeds, just as there are 365 days in a year.